why I used bcftools mpilup and call commond, no indel variance were genearte? Question: why I used bcftools mpilup and call commond, no indel variance were genearte? this is a whole genome, and it should contain indels. 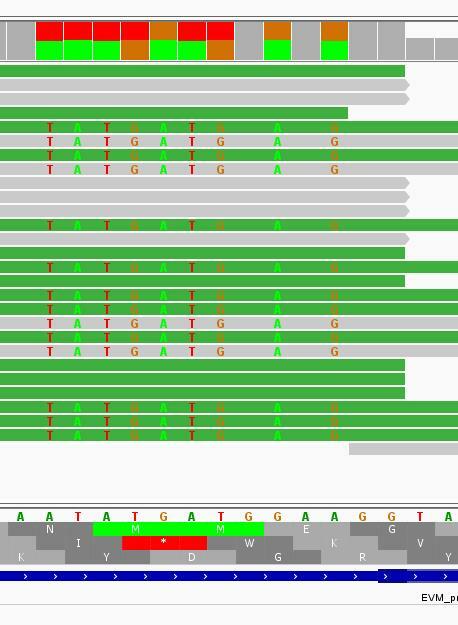 but the results i got form this commond only contain snps , however, no indels. could anyone help me solve this problem? Try running it without the LowQual filter? how have you checked that there are no indels in your vcf? Visualize your bam file with e.g. igv to find a region where a clear insdel is. Retry the variant calling for only this region. do u know how to deal with this problem? thank you very much. Indeed this looks a bit strange. So the problem here isn't bcftools, because it rely on the alignment information. Which program and command have you used for alignment? Hello and thanks for posting it. I don't know biokanga. I would try bwa mem and see what happens then. If this works, one can go back to biokanga (if you still want/need to use it) and start finding out what's going on there.